"Animals are NOT meant to be a part of Fashion. We Can look and feel good without harming other living beings. We need to CONNECT our selves with what goes on behind the scenes." 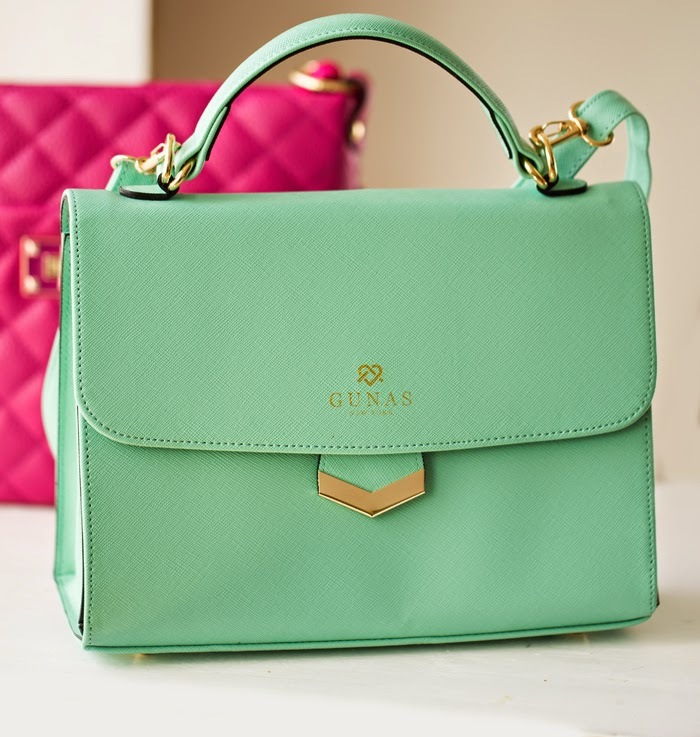 - GUNAS website. OK, a bit of a departure from food today to discuss something dear to my heart. Bags. I am not a fashionista. But I will play one in this post. And seriously, with all the amazing vegan fashion brands blooming in today's world, I sometimes really want to be! You know, trade in my rolling pin for some vegan pumps. My zester for a pencil skirt and some faux leather booties. OK ok, not happening anytime soon. I think I love yoga wear a little too much. But I do try. And I love chatting vegan fashion because I love veganizing fashion essentials in my wardrobe. Like bags! Fashion is such an important part of a vegan lifestyle and so I want to start sharing a bit more with you guys about some of my favorite vegan lifestyle brands. Vegan shoes are a whole other discussion, but handbags are right up there with shoes in terms of leather-heavy fashion gear. 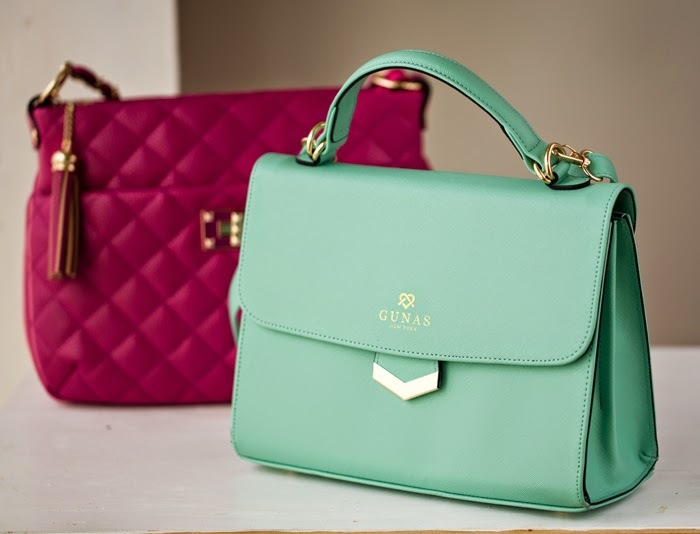 So today, my Five Fave Vegan Bag Brands..
GUNAS's heart and soul screams to be the voice of animals. With an award winning design and business background, Sugandh quit her 7-year corporate career as an Industrial designer at KitchenAid to start her own company of cruelty-free fashion in New York." Yes to THIS: "Animals are NOT meant to be a part of Fashion. We Can look and feel good without harming other living beings. We need to CONNECT our selves with what goes on behind the scenes." 1 1/2. Jill Milan! I LOVE this brand. Not sure how I missed it. This celebrity-fave designer has all her ah-mazing vegan bags made in Italy. I met Jill at a recent event and fell in love with her chic designs and her super kind personality. Love her! 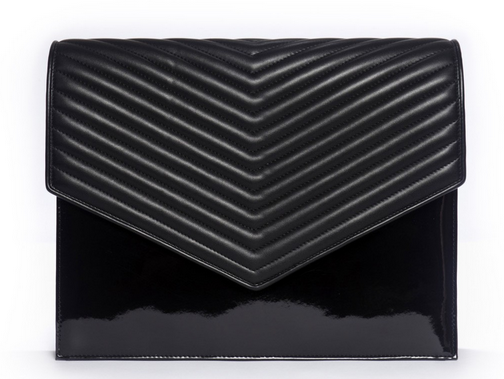 Shop Jill Milan Bags! 2. Stella McCartney. OK, so I know what you are thinking. Sticker shock on these price tags. "Do you know how many bags of groceries from Whole Foods I could buy in place of one SM bag??" Yes. Her bags are not cheap. Thing three or four digit figures for one bag. I own one Stella bag and I love it. It was an anniversary gift. I have received more compliments on it that you can imagine! I even walked into (Bravo's) Beverly Hills Housewife Kyle Richard's store one day and SHE told me she loved my bag. Nice. Shop on Amazon. From the brand: 2013 marked their 10 year anniversary!.. "Over the years Cykochik has grown to be an internationally-awarded compassionate brand recognized for our creative, cruelty-free, eco-friendly, and custom-made vegan handbags." "WHY: Because we want to create a positive economic, environmental, and ethical impact. We believe in the freedom of self-expression while not endangering people, animals, or our planet in the process. 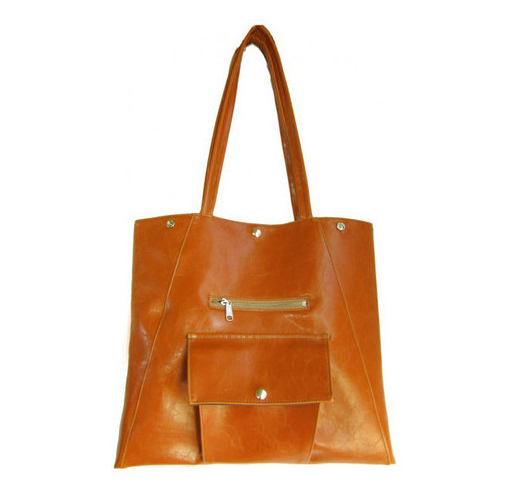 Our bags are made of cruelty-free, vegan materials and also eco-friendly materials. Each bag is handcrafted with love in Dallas, TX, since 2003." From the brand: "Various vegan leathers are used in production, the scientific terms are PU (polyurethane) and PVC (polyvinylchloride). 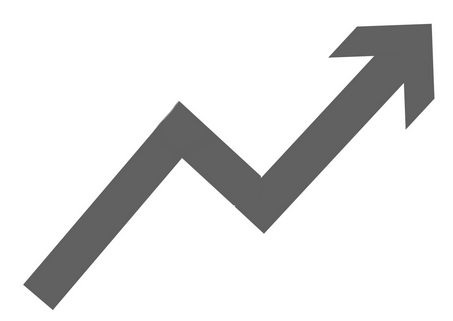 PU is less harmful for the environment than PVC and it’s use is definitely preferred, whenever possible. In addition to being vegan, sustainable materials are constantly sourced in design; these include recycled nylons, cork and rubber. Moreover, all our linings are made of 100% recycled bottles. Approximately 21 plastic bottles are recycled for every bag we produce. We strive to design timeless and durable styles. Each season, several quality control tests are performed on all new styles. .. Furthermore, thanks to their durability and strength, our bags can last a very long time and, hence, are sustainable products." *product photos above from Matt and Nat's website. 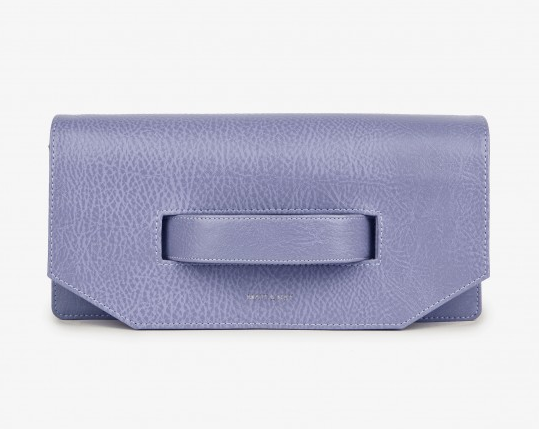 Shop Matt and Nat Bags!.. From the brand: "Since 2001, Crystalyn Kae Accessories has designed handbags and accessories produced from ethically sourced and reclaimed materials. Beloved by fashion mavens and independent spirits alike, the Crystalyn Kae handbag is a symbol of socially-conscious style. Designed in Seattle, our handmade hobos, totes, and cross-body bags are created with a unique blend of sustainable materials and made in the USA. Our bags carry everything you need, durably protecting your valuables in rain or shine. Adjustable straps and versatile inner pockets keep you organized and ready for work, play, or travel." *product photos above from the CK website. 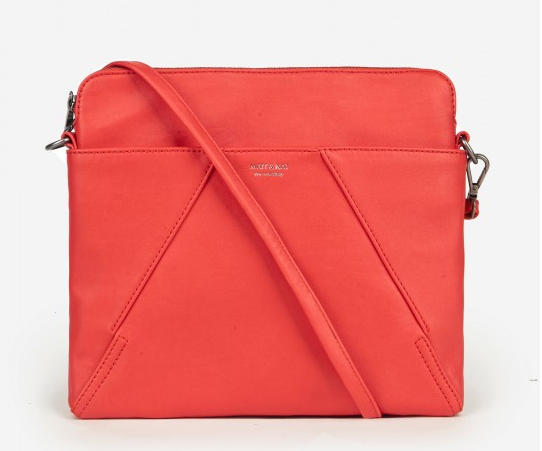 Not sure how I forgot this brand did bags, but another company I LOVE Cri de Coeur! LOVE..
And here is a HUGE bunch of amazing vegan bags I found for you!.. Want to browse more vegan fashion brands? Check out Vegan Fashion Resources on Finding Vegan -- I am building a HUGE resources database on Finding Vegan, this is just one of the first pages. Now your turn!! What are your fave vegan bag brands??? Tag me in your instagrams of vegan bags and comment here! And yes, vegan bags can sometimes double as kitty hideaway beds..